With more than 30 museums in Wichita, there is always an amazing array of exhibits to explore in the largest city in Kansas. 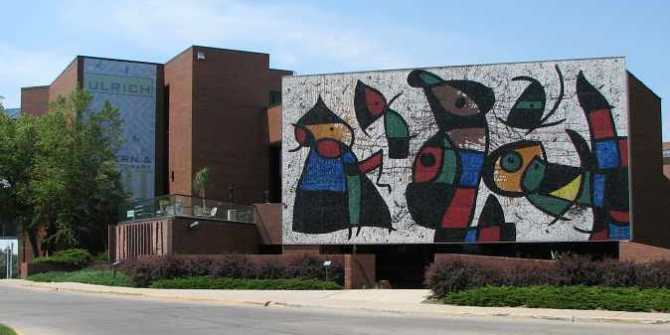 All of our museums are affordable and several Wichita museums offer free admission, including the Ulrich Museum of Art (always free), Mark Arts galleries (always free), CityArts galleries (always free) and Wichita Art Museum (free on Saturdays). “Clusters of Related Ideas” by photographer Dale Strattman is on view Jan. 25-Feb. 16 in the Main & Hallway galleries. 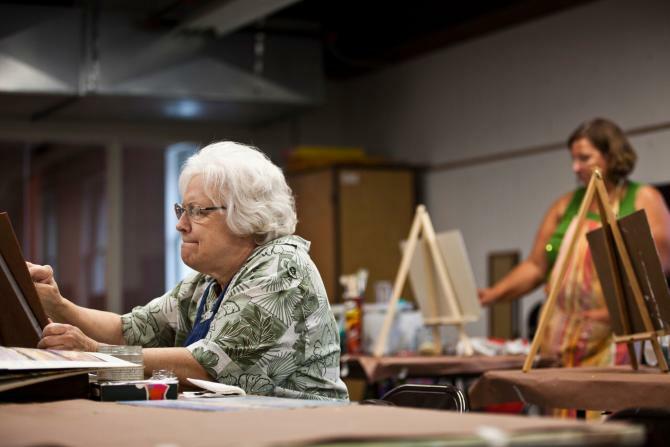 “Authenti-City: Wichita in Oils” by Bill Goffrier is on view Jan. 25-Feb. 16 in the Boardroom & Balcony galleries. “Top Secret: License to Spy, National Traveling Exhibit” national traveling exhibit is open from Jan. 19 through April 28. All ages are invited to slink through the shadows of mystery, search exotic locales around the world to gather intelligence on a group of suspects and build a case to determine the likely culprit. 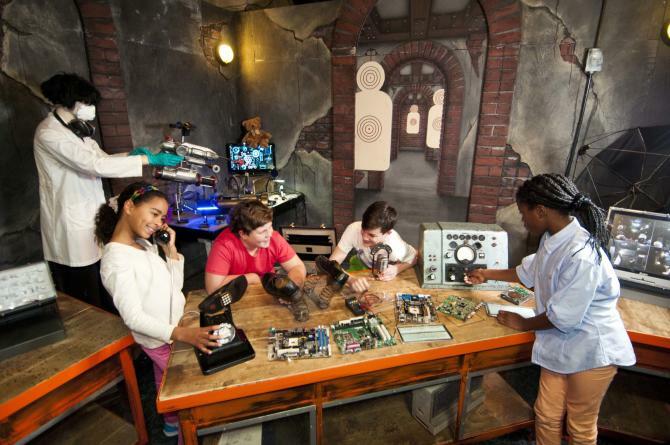 This interactive exhibit lets you control hidden cameras, sightsee with spy satellites, peer through the dark with night vision, crack codes, navigate a laser maze and much more! Plus: Decipher covert messages with Friends University and solve a mystery in augmented reality with Cybertron. This exhibit is included with general admission. 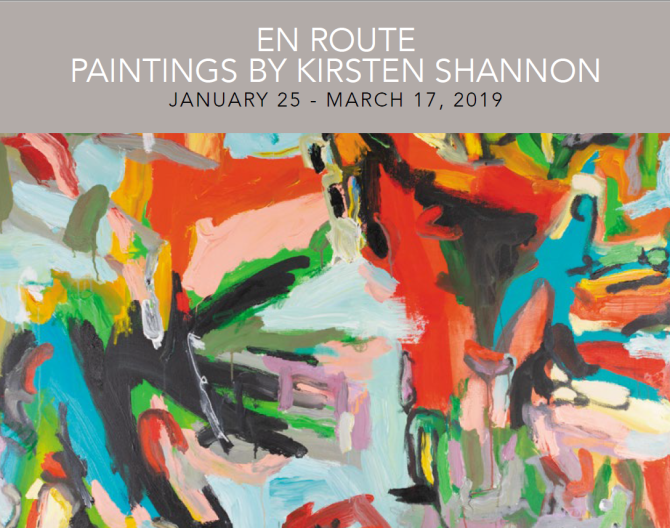 “En Route: Paintings by Kirsten Shannon” is the new show in the premier gallery, Wiedemann Gallery. It runs Jan. 25-March 17. Shannon’s abstract painting style is characterized by vibrant colors, loose layering and freewheeling marks. This is her second solo show. She is an Oregon native who has called Wichita home since 2008. Eastern Kansas Scholastic Art Awards Exhibition is in the School of Creativity Commons and Youth Gallery spaces from Feb. 1-March 23. It showcases select artwork created by middle school and high school students from 70 Kansas counties. It is the largest and longest-running recognition program for young artists in the United States, identifying and rewarding students who demonstrate superior talent and achievement. “Current” is a display of newly acquired objects in the MAAIC’s collection. It opens Feb. 23 and runs indefinitely. “Cultural Misappropriation” is an exhibit showcasing objects that breach the topic of cultural misappropriation or the adoption of elements of a minority culture by members of the dominant culture. It opens April 13 and runs indefinitely. 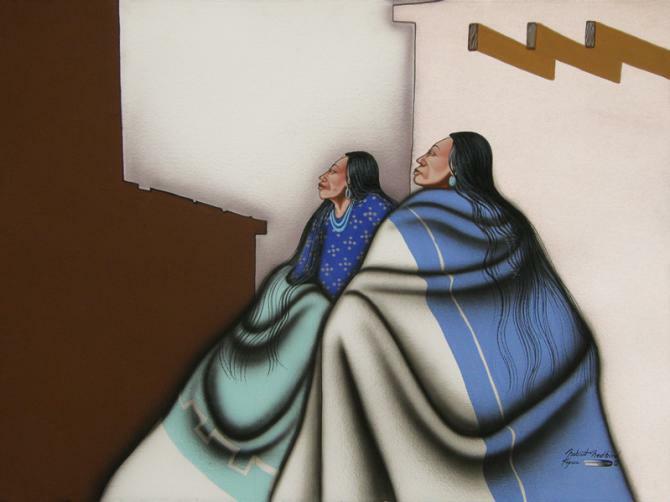 The Wichita Art Museum’s major exhibit this year opens at the end of the first quarter: “Georgia O’Keeffe: Art, Image, Style” is a national exhibit organized by the Brooklyn Museum. It is the first exhibition to explore the art, image and personal style of one of America’s most iconic artists. It will be on display in Wichita from March 30 through June 23 and will require a separate ticket with costs ranging from free to $20, depending on your age and the day you visit. O’Keeffe’s clothing will be presented alongside portrait photographs and her paintings, illuminating her modernist aesthetic and distinctive self-styling. For more than 70 years, O’Keeffe shaped her public persona, defied labels and carved out a truly progressive, independent life in order to create her art. Her artistic legacy continues to capture the popular imagination and inspire leading designers and tastemakers today. “Dignity & Despair: Dorothea Lange and Depression-Era Photographers, 1933-1941” runs March 2-Aug. 18. This exhibit, organized by The Nelson-Atkins Museum of Art in Kansas City, highlights the images of urban hardship, the plight of the migrant worker and poverty in the South by five photographers: Dorothea Lange, Walker Evans, Arthur Rothstein, Marion Post Wolcott and Peter Sekaer. The exhibition integrates images with the photographers’ own words – excerpted from captions, field notes and interviews – to give a poignant look at one of the most difficult times in U.S. history. “Hung Liu: Migrant Stories” is a paired exhibit with “Dignity & Despair” and also runs March 2-Aug. 18. Contemporary artist Hung Liu’s current work – the Migrant Mothers series – features prints and paintings based on the photographs of Depression-era photographer Dorothea Lange. 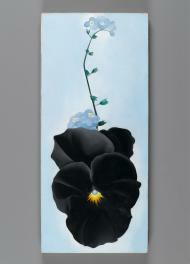 Trained as an academic painter in Communist China, Liu’s work has traditionally focused on Chinese historical themes. By turning to America in the 1930s, however, Liu is able to continue her career-long investigation of suffering, displacement and human resilience. “Arthur Dove: Reality and Abstraction” features works by one of WAM’s most beloved artists. The exhibition runs Feb. 6-June 9 and includes large oil paintings as well as miniature watercolors taken from the artist’s sketchbooks. Ongoing exhibits: “Over There, Over Here: American Print Makers Go to War, 1914-1918,” on view through Feb. 17; “Kansas Land: Farm Photography,” through March 10; and “Cityscapes” through April 14.